You'll love this tasty blend of sprouts for adding unparalleled flavor and nutrition to your favorite salads and sandwiches. They can also be enjoyed fresh by the handful. We have chosen this mix of broccoli, red clover, radish and alfalfa sprouts for their distinctive, fresh flavors and wonderful crunch. Grow them indoors year-round-they'll be ready to harvest in as little as 3-6 days. 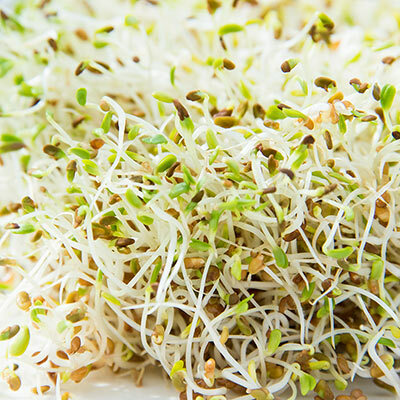 Sprouts are at their most tender and ready to eat when they are just a few centimeters long. 4 oz.